At the recent MQTC Conference, MQGem ran a Prize Draw where one lucky entrant would win an Enterprise licence to use MQEdit for free for a year. An Enterprise licence allows your whole company to use the product worldwide. 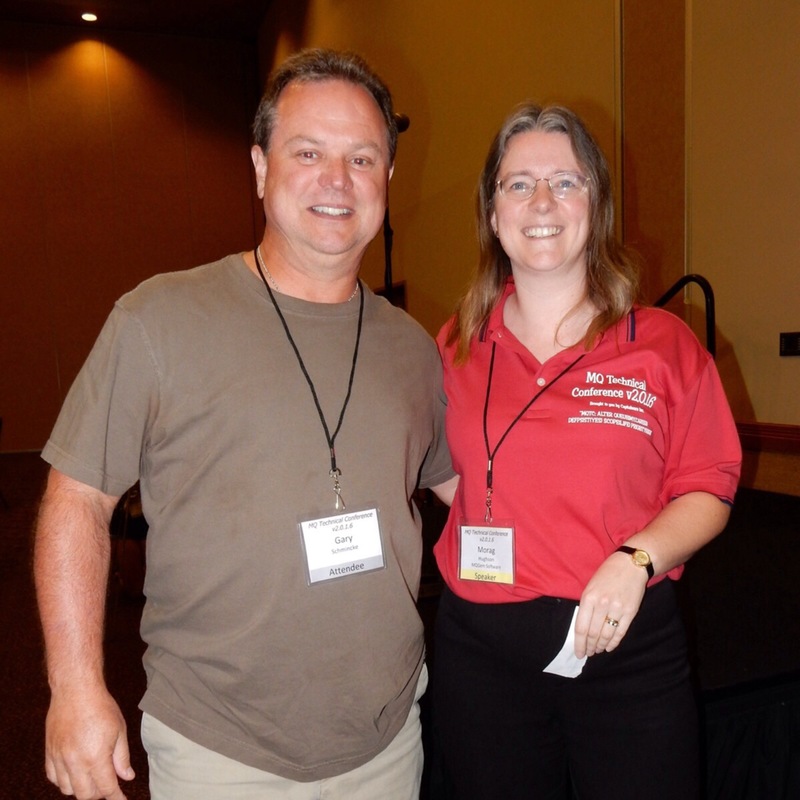 The draw was made at lunchtime on the final day of the conference and the lucky winner was Gary Schmincke from CareFirst BlueCross BlueShield. Gary will receive his licence file sometime before the end of January 2017 when the free beta period expires. Currently, EVERYONE can use it for free. Just go to the website and download a copy to try, no sign-up, no obligation to buy. Announcing the MQGem Software message editor! Have you ever needed to make a quick change to an MQ message? Or perhaps create some test messages for an application? Or perhaps the message has gone to the wrong place and you want a quick way to copy or move them to where they should be? We have a new product for you to try. Move or Copy messages simple by drag&drop, even between Queue Managers! Screenshot of MQEdit showing QMgr and Q filtering; ISPF colour scheme; PCF formatting; and toolbar of controls. 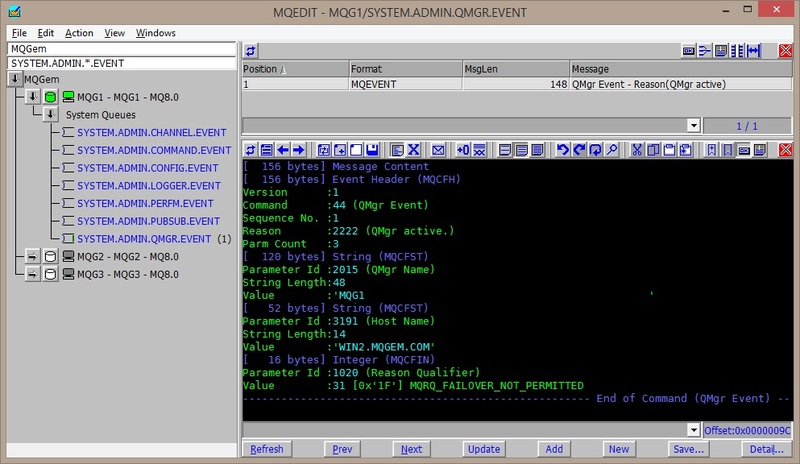 MQEdit runs on Windows but can connect, via the MQ Client, and edit messages, on all versions of MQ on all platforms. This includes z/OS where messages can be edited directly in EBCDIC.